You’re a newcomer, setting up a new life in Christchurch. Likely the first week here has been dominated by work. And house-hunting. And admin. Come the weekend, it’s time to kick back. Take a break. You even might be feeling a bit flat. Wanting to get out the experience the lifestyle that attracted you here …but finding it hard to summon the energy to start researching yet again…. Shop with the locals at the Sunday market. 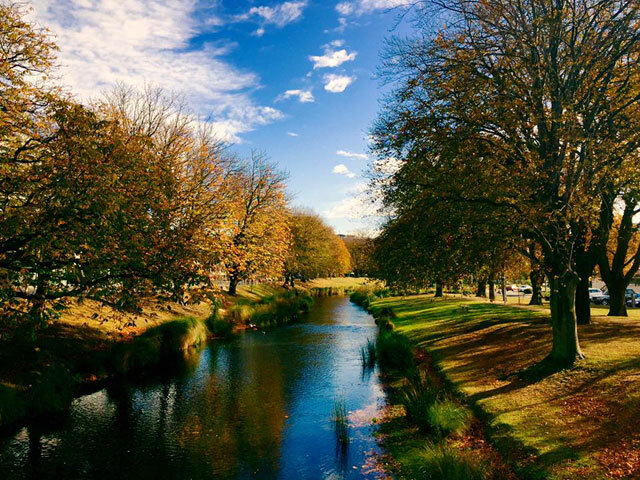 Set in the charming gardens of an old homestead, the world famous (in Christchurch) Riccarton Market has a super-friendly vibe. And the freshest produce you can imagine. Pull on your trainers, or jump on a bike. Just 10 minutes away from the CBD begin the Port Hills - a relative wilderness of biking and hiking trails. Enjoy amazing views over your new city and the incredible landscape that surrounds it. Google for bike hire. Take in a film with Alice (Theatre). Book seats in the boutique themed 30-seater cinemas – Egyptian and Wonderland. Expect independent films. And atmosphere plus, with opening curtains and classic movie soundtracks. Surf (or stroll). One of the city’s best kept secrets is its beaches. New Brighton beach has a thriving surf scene. Hire a board and take a lesson. Then enjoy a walk along the 18km of white sand or 300m out to sea along Australasia’s longest pier. Kids should look out for the whale at the playground…. Have your food delivered pneumatically. Not just any CBD café, C1 has many unique features. And superlative coffee. Seeing is believing.